Fiona’s unique journey has captivated hundreds of thousands of people and has definitely taken the Greater Cincinnati area by storm. Her preemie status made her story all too relatable for many families, and her fighting spirit and refusal to give up has produced an underdog story for the ages. Now that the vast majority of the health hurdles are behind us, many of Fiona’s fans have asked how being hand-raised might affect Fiona’s future relationships with humans and other hippos. Though none of us have a crystal ball with the exact answers, we do have some insights into how being hand-raised might affect Fiona’s future. In terms of the social bonds that Fiona may or may not have formed with her keepers, the answer is somewhat complex. Hippos are considered gregarious animals but they are not necessarily social. 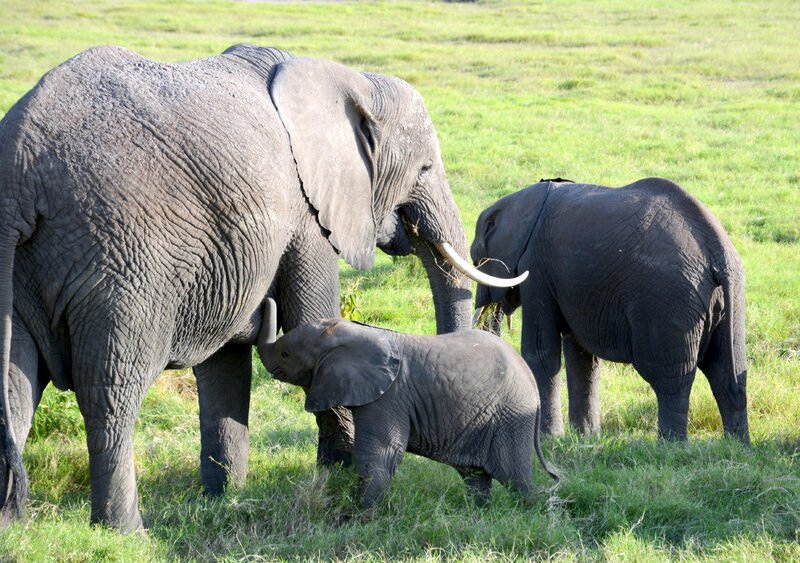 This means that they do live with each other in groups, but they do not form significant social bonds; the only exception to that being mothers and daughters. Since Fiona spent her imprinting period (the first 10-12 days of life) with humans instead of her mother Bibi, we do believe she has formed social bonds with the care staff instead. She very obviously feels comfortable around us and seems to enjoy and seek out our companionship, and it is likely that she will maintain those positive associations with humans for the rest of her life. The good news is that her special bond with people should not significantly impact how she interacts with other hippos in the future, who will likely be viewed as friendly neighbors sharing space and resources. So in terms of integrating her into a bloat of hippos, her untraditional team of moms should not negatively impact her transition. 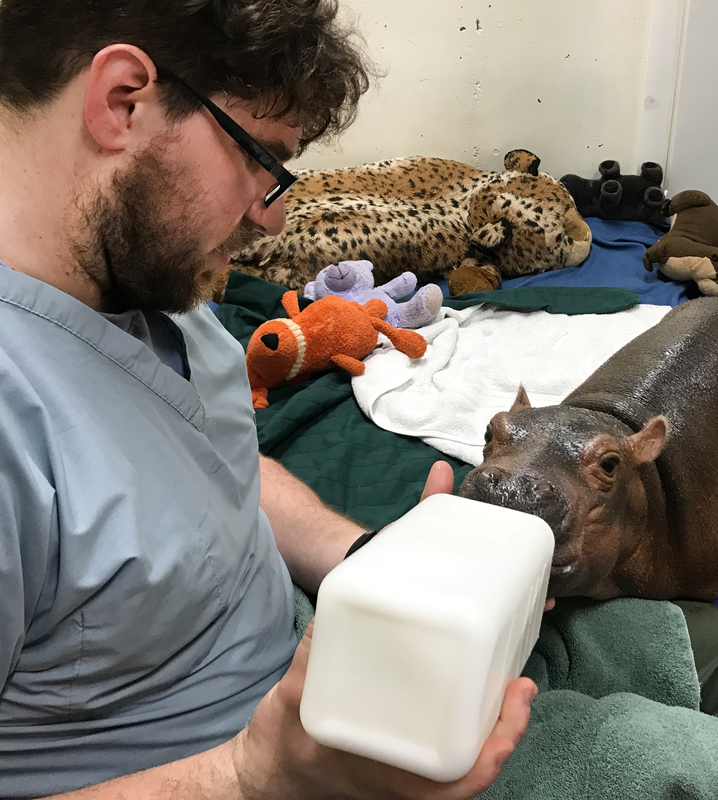 Fiona’s instinct-filled brain is hardwired to interact with other hippos, not humans, so naturally, that is how she has interacted with her care staff from day 1. On a baby scale, these interactions have all been manageable enough for the humans, but as Fiona grows and becomes stronger, many of those everyday interactions could actually become dangerous for the keeper staff. For example, hippos will often open their mouths wide and toss their heads in each other’s direction to convey different messages ranging from: “Back off! I need my space” to “Let’s play!” to “Who’s in charge here?”. You can see examples of Fiona exhibiting this behavior towards her keeper staff in many of the videos that have been posted, and similarly you will see many examples of this behavior between Henry and Bibi. While this behavior is entirely appropriate between 2 hippos, it will definitely become more of a problem for care staff as Fiona grows and continues exhibiting this behavior towards people. Additionally, nap time is another example of an interaction with Fiona that will become dangerous for the care staff in the future. Baby hippos will often crawl onto their mother’s backs for a safe place to nap. At this time, Fiona seeks out the keeper staff and crawls into our laps to sleep. At just under 100lbs, this is already becoming a bit challenging for her human caregivers, and will only become more of a struggle and potential danger as she grows bigger and stronger. So far, Fiona has not exhibited any outright aggressive behavior towards humans and may never do so. Regardless, we will eventually have to transition to managing her as we would any other hippo, using protected contact. Hippos are considered extremely dangerous animals and for that reason there must always be a protective barrier in place between the keepers and the animals so that we are never sharing the same space. These kinds of regulations are essential to ensuring the safety of the animal care staff as well as the animals, and are a staple of all accredited institutions. So even though Fiona has been sharing space with the keepers so far (in “free contact”), we will eventually come to a point when Fiona must be managed via protected contact, just like her adult counterparts. 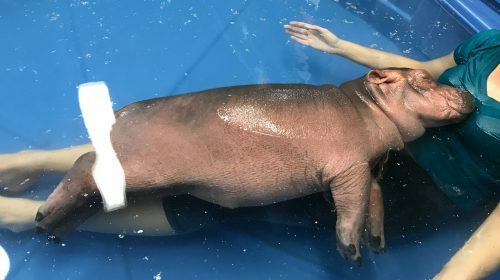 We do not have a predetermined date or even a set size that Fiona must reach before the protected contact is established, but with Fiona’s improved health and rapid growth, it will likely be sooner rather than later. 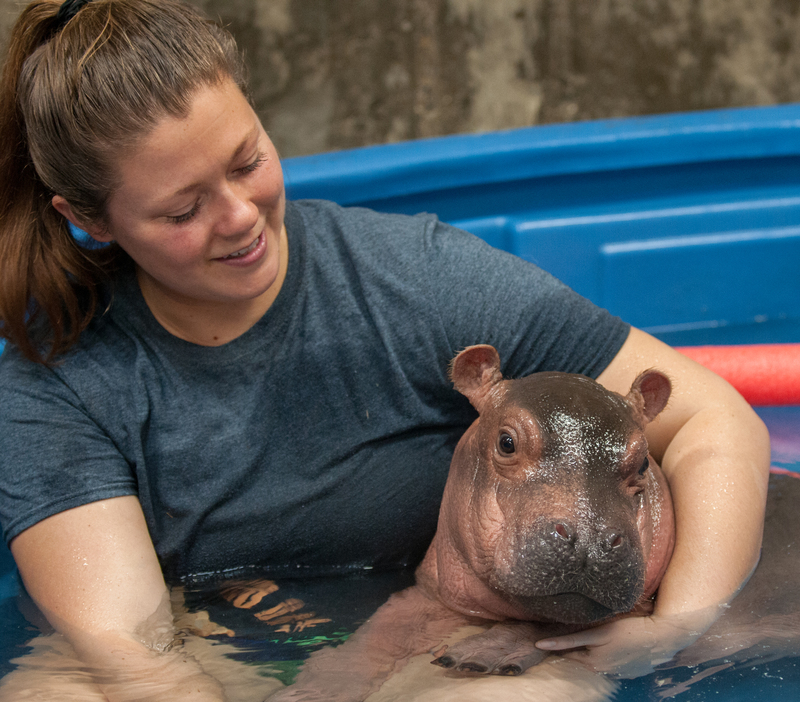 Although we have been thrilled to play the role of surrogate mother, the simple truth is that humans will never be able to be provide all of the appropriate and healthy interaction and companionship that Fiona can get from other hippos. Even if we could meet all of her physical and social needs, there would come a day when it is not actually safe for us to do so. Though Fiona may never want to harm a human intentionally, there are certain realities of working with a 3,000+ lb animal that even the most heart-warming stories of survival and love cannot overlook. Moving forward, it is in Fiona’s and the care team’s best interests that we begin focusing on transitioning Fiona into the bloat with Bibi and Henry and helping her become a healthy and well-adjusted hippo! It must be difficult to not treat Fiona as a “baby” but as you have explained she will grow to being 3000lbs which require a different way of caring for her. We have enjoyed her babyhood but like all babies she will now be entering a different phase in her life. I know you you will protect her and yourselves. Thanks again for sharing her. Stay safe! Fiona is over 100 pounds already, close to outweighing her Moms! Although it has been a fantastic experience for us, the public, to watch her progress, I’m sure the great team of caregivers will miss her. Thank you for being there for her every need!!! Like any baby, the goal is to see them become independent! Bittersweet for the caregivers, I’m sure. I’d love to see a video of her mommy and daddy! What a wonderful journey this has been. Once again, we have been put on the map by a wonderful creature, who is now growing into her own. I can’t wait to see how Bibi and Henry react to her when she is with them. Thank you for the time you have spent with her and us to follow this daily blog. I don’t want to see it come to an end, but seeing her at the zoo with her parents will be a new chapter for all the visitor’s to our wonderful zoo. Keep up the good work everyone and God Bless, Miss Fiona! Thank you so very much for all you have done for Fiona! 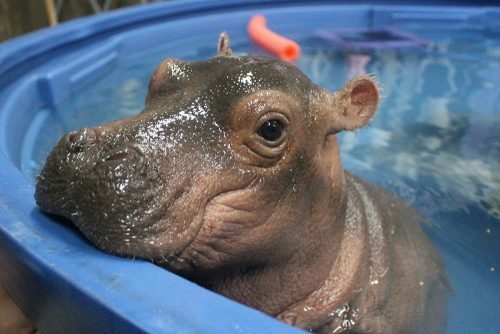 She has grown into a healthy little hippo. I’m sure it will be difficult emotionally to transition her away from humans and into the hippo bloat. You have our sympathies!! Thank you again for all you’ve done for Cincinnati’s sweetie!!! There are pygmy hippos. They still get to be about 300lbs. Thank you for all of your wonderful work with Fiona. We have friends all over the country who check in to the blog everyday to hear the latest news about Fiona. We are grateful for the fantastic job that you do in providing information about Fiona and hippos in general. We appreciate these magnificent creatures so much now, and we will always love little Fiona. I will be lost without your Fiona blogs…will you continue to share the next step of her life with us and then finally when she is reunited with her parents? Until little Fiona I never thought I’d ever refer to a Hippo as cute, but now I do 🙂 She seems so sweet, just warms your heart watching her video’s and looking at her photo’s. I know it is your job to care for the Zoo animals, but you can tell it is so much more for you all of you trusted with her care. You have fought hard for her, thank you to all of you for saving her and thank you for letting all of us share the beautiful experience. Maybe some of you can work on it! she belongs to the Zoo C.I. original song if you don’t know it. I will. miss my daily “FIONA FIX” when she returns to her mom and dad! I echo the previous comments. Thank you! So precious. I admire your expertise and knowledge in caring for her and saving her life. You are amazing. Fiona has won all our hearts. She brings a smile to my day! How long do they actually nurse from their momma’s? So over joyed to see how great and amazing the little Fiona is. She is a beautiful amazing animal and lucky to have been born at such a wonderful caring Zoo to care for her. I’ll miss that sweetie everyday. But beyond over joyed for you all. Wow guys you did it congratulations. She’s absolutely adorable! So glad to hear she’s going to be transitioning to being with the adult hippos. She’ll learn so much from them. Thanks for all the love and support you’ve given her! I live across the States from your Zoo and LOVE to read daily about Fiona. Getting my t-shirt and being a part of Team Fiona is something I will always cherish. She is adorable – I brag to all my friends, just like she was my grandchild. THANK YOU for your time, sharing her with us. You all have done such an amazing job with Fiona. I have been watching her progress since you all put it on the internet. I was going through chemo treatments and Fiona and her story gave me something to look forward to daily and still does. God Bless you all! Can’t wait to see what Fiona’s future holds! What an amazing job the staff has been doing against what seemed to be insurmountable odds. It is a joy to read how Fiona has progressed and the work of all the talented care givers which will certainly help zoos in the future. We look forward to seeing Fiona at sometime in the exhibit (since BiBi was pregnant when we first were at the exhibit last October). Hopefully the care staff can be available some days so we can thank you in person. My husband is a hippo nut -we have pics, figurines, stuffed hippos and all kids of handmade hippos in our house. This has been by far Dan’s favorite story to follow. Once again, many thanks for allowing us a view into your and Fiona’s journey! I have watched from afar, my daughter is a keeper and worked with a hippo at a zoo. 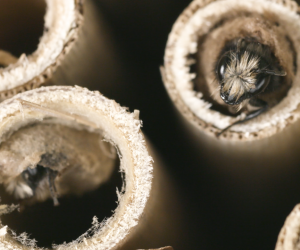 They are fabulous creatures, but the keepers must stay safe. She is a cutie and will be well loved by the public. Hope she does well in her new space (howdy), and that Mom and Dad will welcome her as their own. Keep up the blogs, it is part of my daily routine. I will miss when they are no more. I should also mention that afar is in Minnesota. 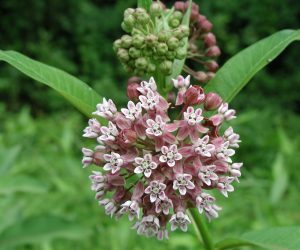 She is a big sensation and has made it to the upper midwest! You are an amazing group of caregivers! I am a nurse, and know we only see the cute stuff, not the behind the scenes things that happen and the many challenges you’ve had. Love the blog, and you are right, she is famous every where! Following Fiona’s progress has been such a privilege. The close and serious monitoring of this adorable little premie has undoubtedly been rewarding in so many ways for the zoo and Fiona’s keepers. What an amazing learning experience! What you’ve learned from this experience can surely be applied to the care of other premie wild animals, for instance the success duplicating the components of Bibi’s milk for Fiona. It would have been easy for the zoo to have kept Fiona’s challenges private but instead Cincinnati Zoo chose to share the documentation Fiona’s journey with all of us, even despite the real possibility of her not surviving. Thank you for your generosity. One commenter requested a video of Fiona’s parents Bibi and Henry. Hearing them off camera bellowing at Fiona has made me very curious to see them too, if at all possible. Cannot believe how quickly this miracle baby has grown–all because of the diligence, concern and love of your staff. We will all be holding our breath and praying when Fiona soon joins her bloat! Stay safe keepers! We love you, and your animals need you! Thank you – for this (extremely well-written & thoughtful) post, as well as for all that you’ve done to make so many of us smile on a regular basis. Fiona has been a breath of fresh air and I am appreciative that you’ve taken the time to educate us about hippos while we watch her grow. Thank you to the Zoo staff for your updates and diligent work with the animals. I’ve been following Fiona, out here in California. All our children grow up. That’s the point, hmmm? So. 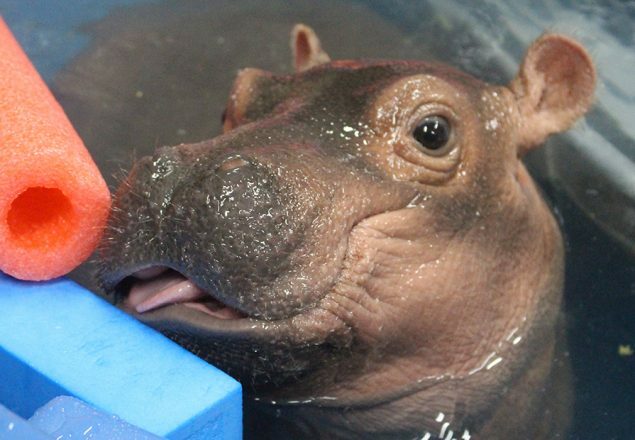 Congrats to the Cincinnati Zoo on your 24/7 work with Fiona. Her story is a true tribute to the work you and all zoos do to care for their animals and bring the new babies into the world and care for them. The picture of her sleeping on a caregiver’s lap is priceless. Howdy guys! The hippos are very territorial and aggressive to strangers and also they are big enough to easily kill a man :s …..So be very careful with them!!! I certainly understand the need to separate Fiona from her caregivers sometime sooner than later because of the potential danger. Do you anticipate any emotional trauma that separation from her tenders might cause? Do hippo babies make crying sounds? 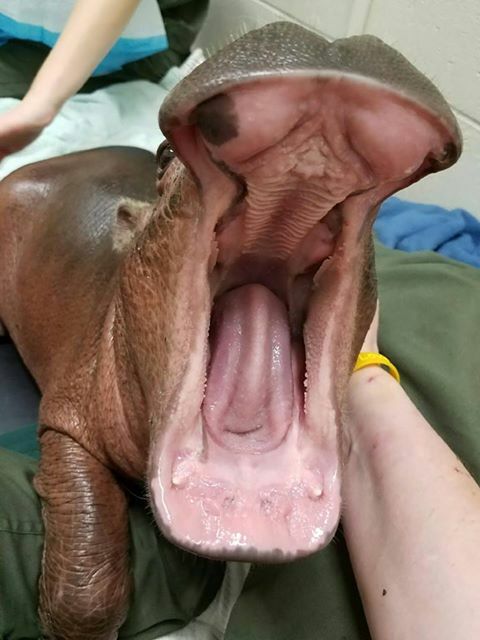 When will the baby hippo be on display for the public to see her? They’ve stated that they are hoping for the end of June. However, the exact timing is a mystery. And everything will happen in Fiona’s time frame. They’re watching her daily progress and comfort level.